Supertech Group has launched its most applauded scheme "Supertech Housing Scheme". Ajnara Olive Greens is NCR’s one of the most advanced green residential inception. Ajnara Smart Housing Scheme is another name for today’s trending new residential project. 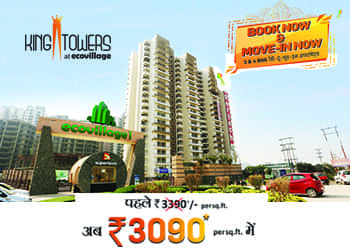 Ajanra Prime Tower is the newest residential project in the natural valley of Greater Noida West. Sikka Kimaantra Greens is the genesis of next gen residential project in the serenity of Noida Sector 79. Welcome to the quite fresh affordable luxury of residential project “Migsun Vilaasa” at Eta-2. 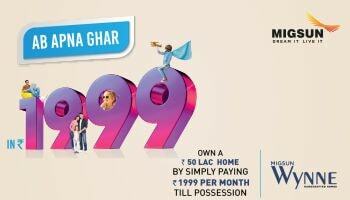 Welcome to the quite fresh affordable luxury of residential project “Migsun Wynn” at Eta-2 in Greater Noida. Welcome to the quite fresh affordable luxury of residential project “supertech king tower”. Supertech Ecobaazar a new commercial project offering retail and office spaces to clients. A world-class developer Mahagun is ready to transform your boring lifestyle with the beginning of panoramic.